This has been a bad year for farmers: last year’s wet summer and then the cold winter that just won’t end have scuppered one harvest and probably knocked this year’s right down too. Even when conditions are more ideal than they have been this year, farmers and breeders fight an uphill battle trying to prevent a significant proportion of the crop being lost to various pathogens. 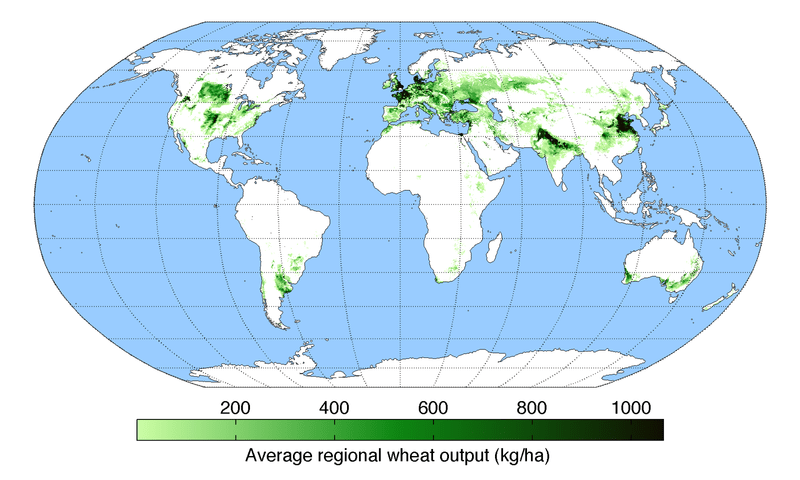 When it comes to wheat that means rust: black rust, brown rust and yellow rust. Where it strikes, yield losses are likely to be around 20% in susceptible varieties, and the problem is getting much worse. 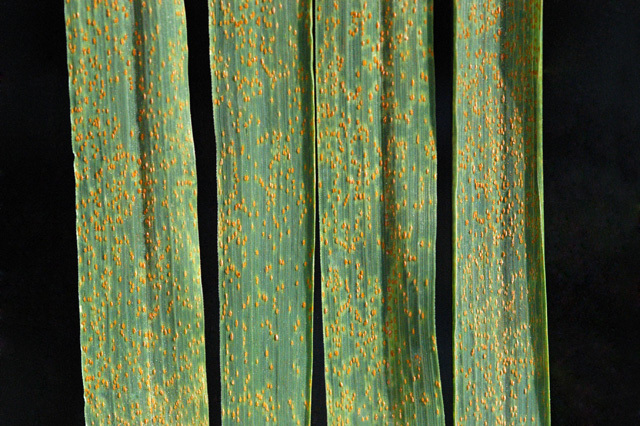 Most resistance to black rust (Puccinia triticina) is caused by a single gene, which a new resistant kind of rust (Ug99) managed to overcome in much the same way as MRSA became resistant to methicillin in our hospitals. Why are you in work so late?! asked my housemate’s boyfriend, when I explained via Facebook chat that that was where I was. I pride myself on talking about science far too much and boring everyone around me, especially housemates and their boyfriends. So how have I possibly avoided explaining what qPCR is?! DNA exists in relatively small quantities compared to how much we need to do molecular biology. In order to work with it – or, for that matter, check whether it is there – we need to make more of it. A particularly awesome feature of DNA makes this possible. It is a double stranded molecule: if you could straighten out the helix that it works itself into it would look like a ladder, and the two sides are inverse copies of one another. (Once you have finished marvelling open-mouthed at my non-existent artistic skills you will, I’m sure, spot that pink always pairs with orange etc). This means that if you split the molecule in two, it’s possible to rebuild the other side from the side that you have. This happens inside your cells all the time and is called semi-conservative replication. We can simulate this in the lab through a reaction called PCR (Polymerase Chain Reaction). PCR can best be summed up by my favourite geeky advert of all time. (A geeky advert so immense that for my first 4 months as a PhD student I drank from a BioRad mug for no other reason).